The DCSG operates vehicular slide gates for high trac application. 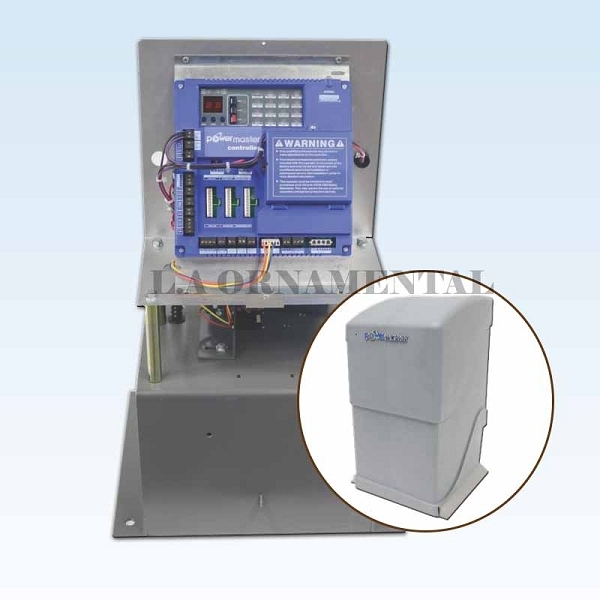 Power requirements: 115 V, 1 PHASE. Available horse power: 1/2 HP. Class 2 low voltage control circuit. Gate speed: 11 inches per second. 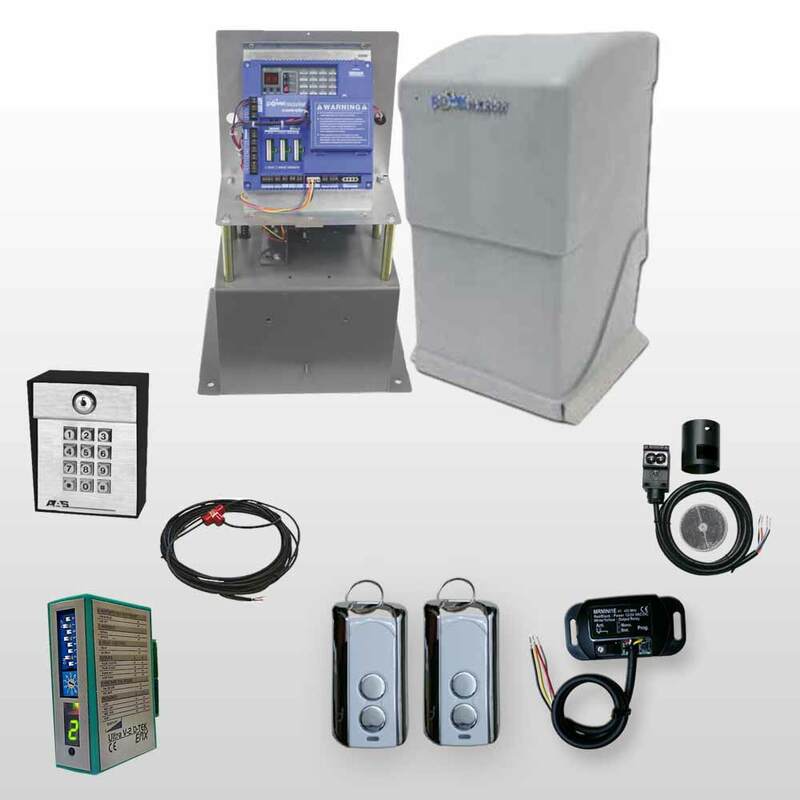 Our Commercial Slide Gate Operator with DC motor controls vehicular gates for high trac and residential applications. It is ideal for custom homes, apartments, self storage and other commercial properties. 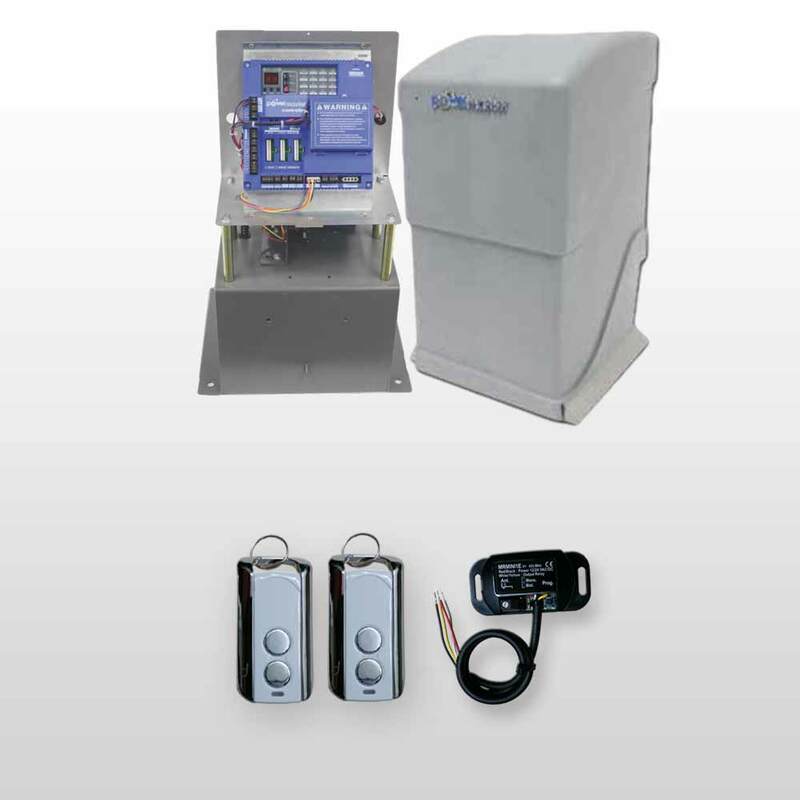 Spike suppressing circuitry for surge and lightning protection. Heavy Duty #7 Ga. galvanized steel frame providing a strong and durable unit. Polyethylene exterior cover for years of durability while retaining its original aesthetics. 30:1 Oil bath type gear reducer for long service with smooth, quiet operation. Nylon idler rollers to guide drive chain. 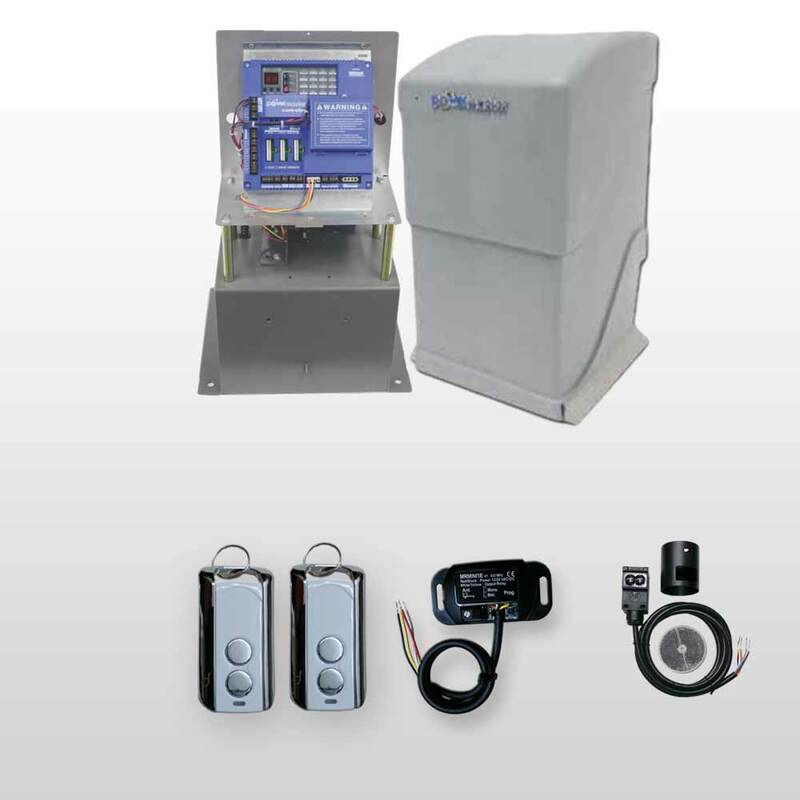 Rotary limit switches for precise gate positioning. 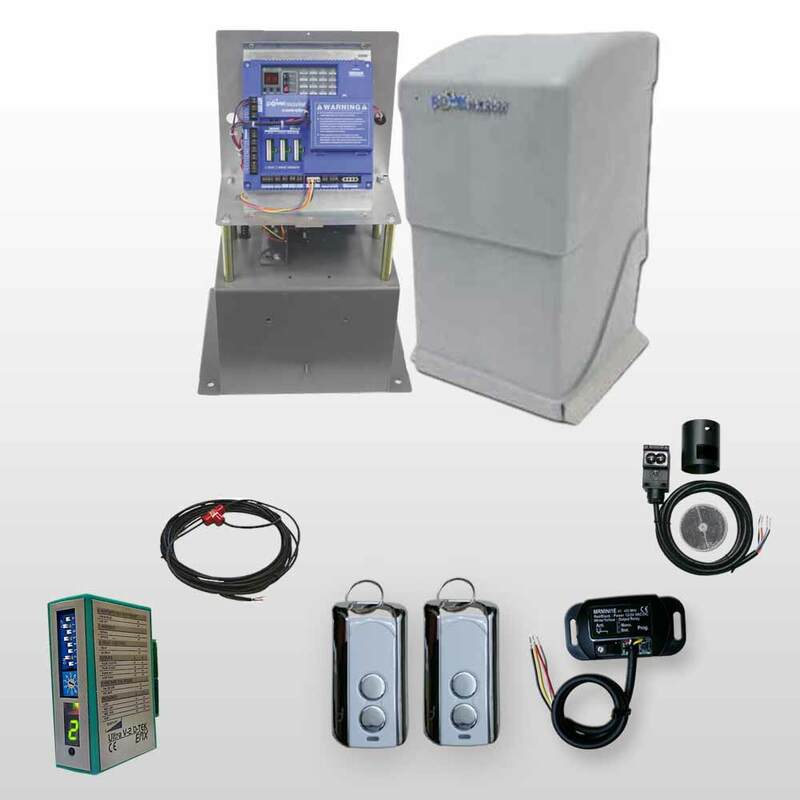 Pad mountable, with outboard footprint, for easy installation.